We put a removable brooch on our 100% wool felt clutches. Dress your bag up or down depending on your event! 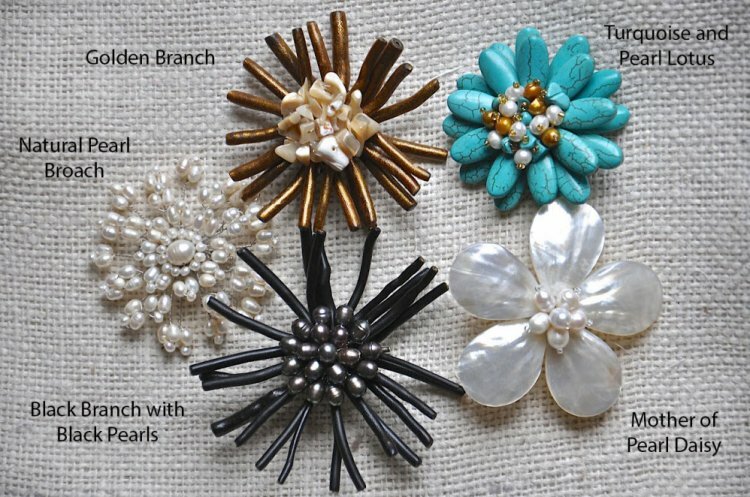 Use your brooch on your clutch or on your wrap. It can also be used as a pendant or to secure two strands of pearls together- honestly, any strand of knotted beads. A versatile staple for your wardrobe! Price: $142.00 In stock! - Browse this brand: Queen Bea StudiosOur products are custom made to your specifications. This product ships up to 3 weeks after your order is placed. Choose a color for your felt clutch purse.